This week’s Poetry Reading provided an excuse to dip back into our recipe collection and report on another bit of historical cooking. 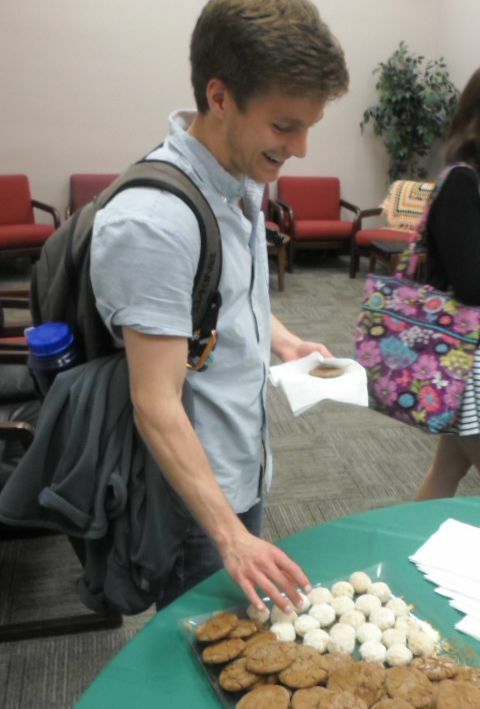 The Archives and Special Collections staff provide refreshments for the post-reading visiting with the poets time. Nothing fancy, just a few cookies and lemonade. 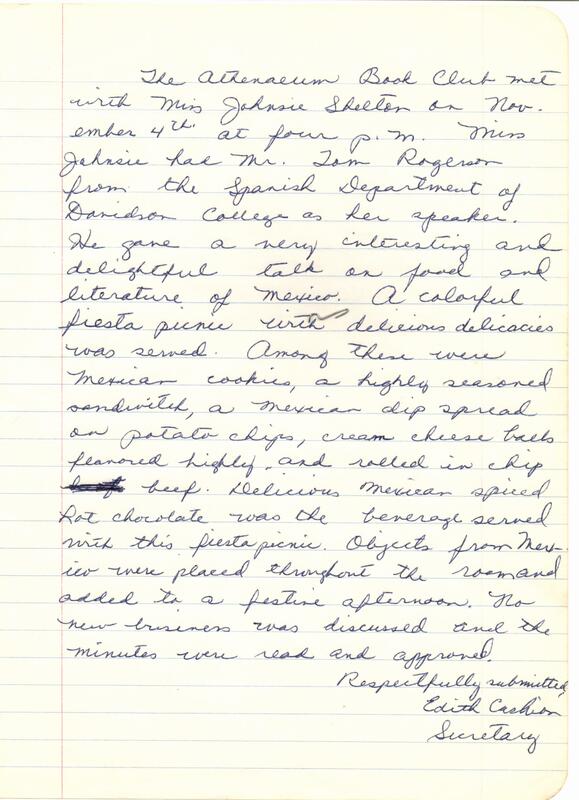 The Athenaeum Book Club provided a quick and easy, if somewhat concise, recipe for Mexican Cookies. 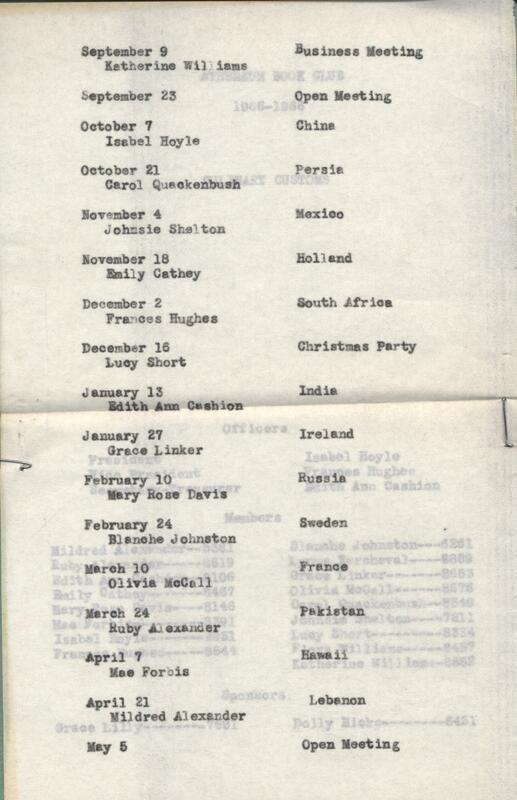 One of the many book clubs in Davidson, its members were town women, many of them working women rather than faculty wives. 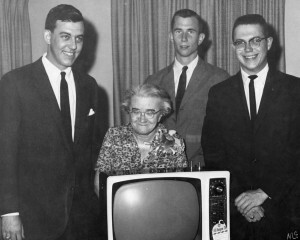 A good example is Johnsie Shelton, who submitted the cookie recipe. She was Housemother for Davidon’s Pi Kappa Phi fraternity in the 1940s and 50s. 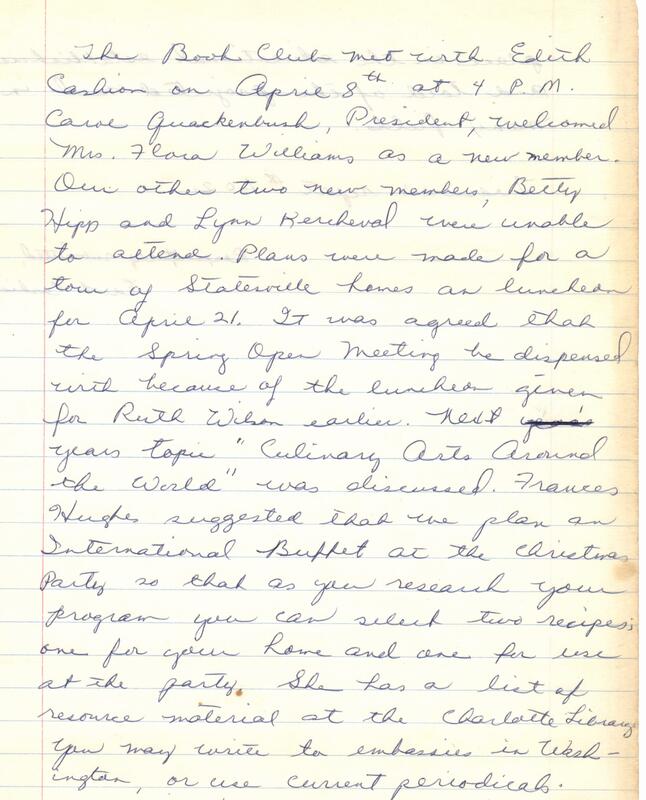 Minutes of April 1965 meeting announcing the new theme for the fall. 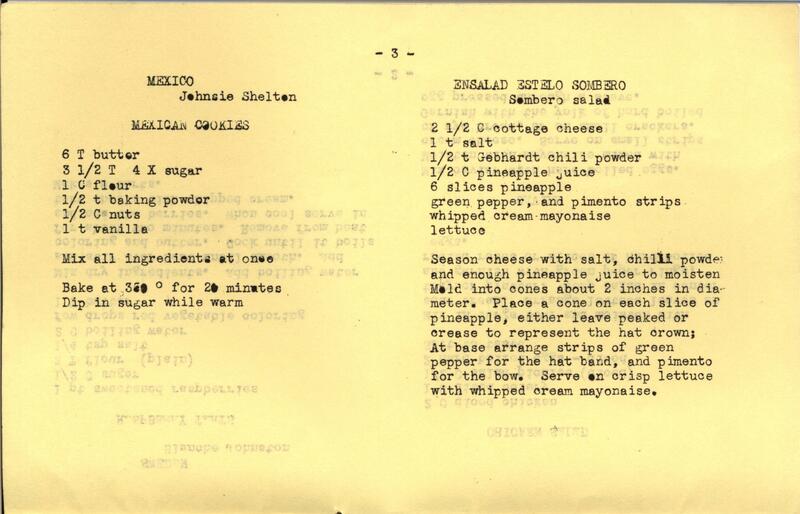 My recipe came from Johnsie Shelton’s November program on Mexico. The minutes for that meeting cover the refreshments in great detail: A colorful fiesta picnic with delicious delicacies was served. Among these were Mexican cookies, a highly seasoned sandwich, a Mexican dip spread on potato chips, cream cheese balls highly flavored and rolled in chip beef. Delicious Mexican spiced hot chocolate was the beverage served.” These treats were accompanied by a lecture by a professor of Spanish and Mexican artifacts placed around the room. 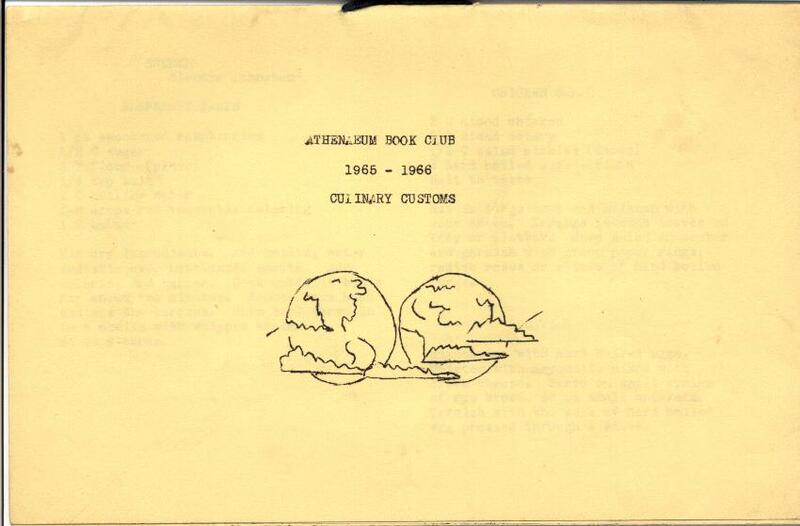 At some point, not documented in the minutes, the club decided to not only have the Christmas buffet, but to produce a small booklet of recipes. 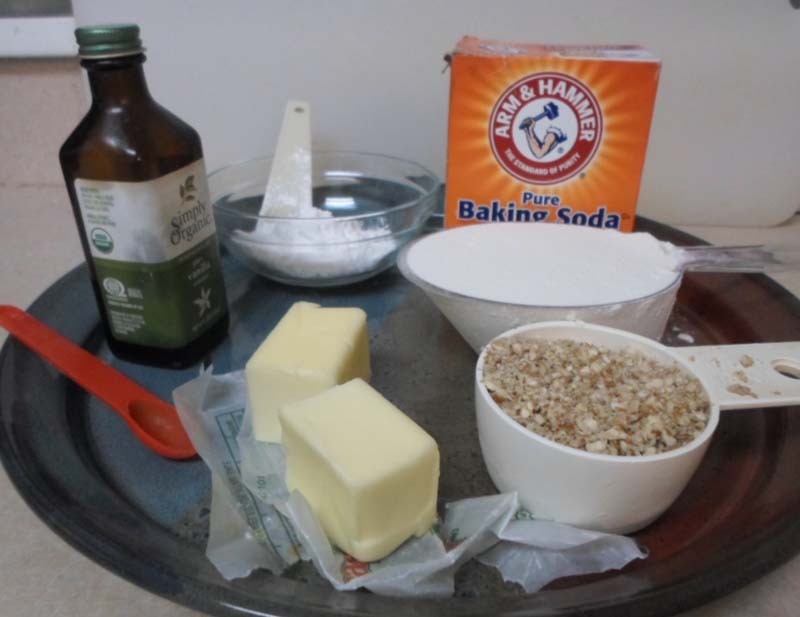 The list of ingredients was pretty straightforward: butter, powdered (4X) sugar, flour, baking powder, nuts, and vanilla. Happily, having some cooking experience, it seemed best to have the butter at room temperature, soft enough to combine easily. 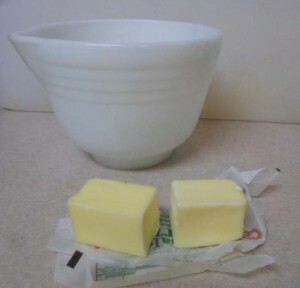 Figuring that by 1965, hand-mixers were an option and having one (the last one left) of my mother’s Hamilton Beach mixing bowls, I let the beaters do the mixing all at once. Once mixed, new questions arose – what size cookies. The instruction to dip pretty much eliminated making bar cookies. Again, experience with this type of cookie, made it easy to form them into small balls. The recipe doesn’t say how many cookies this makes, so I will – 2 dozen. Forming the cookies. 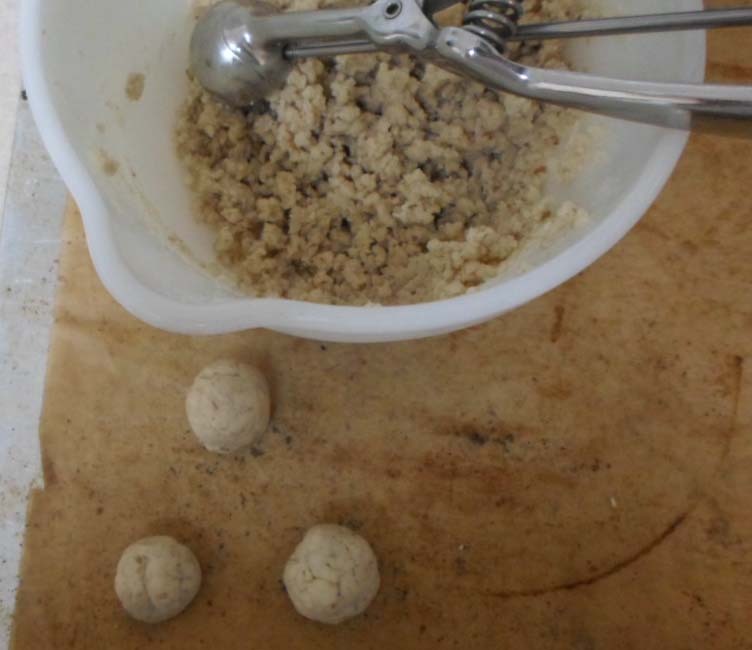 The use of a cookie scoop is a modern bit of time saving. Previous experience also provided the last missing bit of information -what kind of sugar for the dipping — More of the 4x (though 10x was used since that was what was on hand). 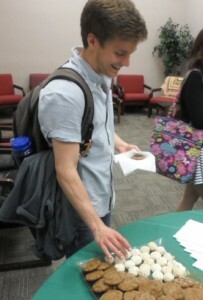 Poet Scott Cunningham volunteers to be the first to try the cookies. They passed muster, feel free to try the recipe at home.